Don't get your tail in a twist because it's Friday the 13th; celebrate because it's National Sticker Day! 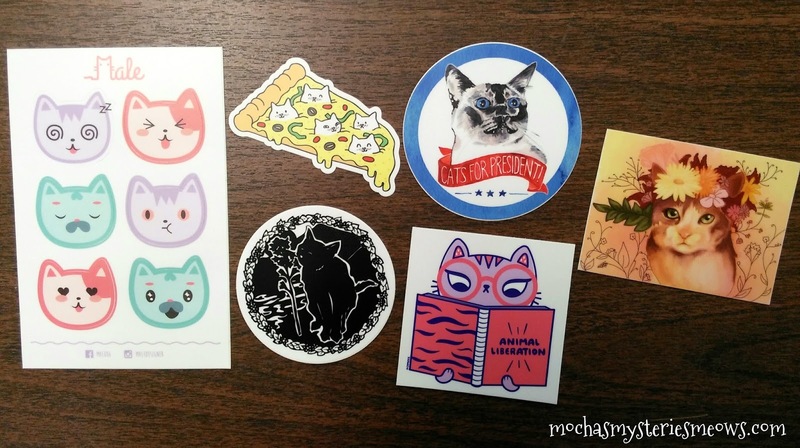 Last year we were so excited to introduce you to the Cat Sticker Club, a monthly cat sticker subscription service. Cat Sticker Club curates cute cat art, creates high-quality stickers, and brightens up your mailbox every month. 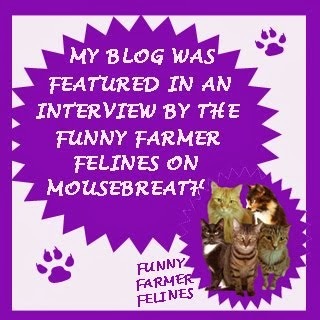 It’s a fun little way to show your feline love or make your favorite cat lover smile. And it’s only $3.50 per month! Each sticker is 3-4” wide on average and made from weatherproof, durable vinyl. They are designed by artists who are paid for their work, plus 10% of the profits go to shelters and rescues!!! 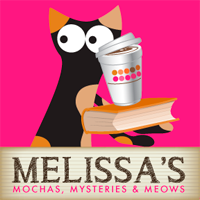 Laptops, tablets, litter boxes, cat carriers, water bottles, car bumpers, bulletin boards...the list of places you can put a sticker is endless. Just don't stick them on kitty!!! Interested in submitting artwork for sticker consideration? Click here! 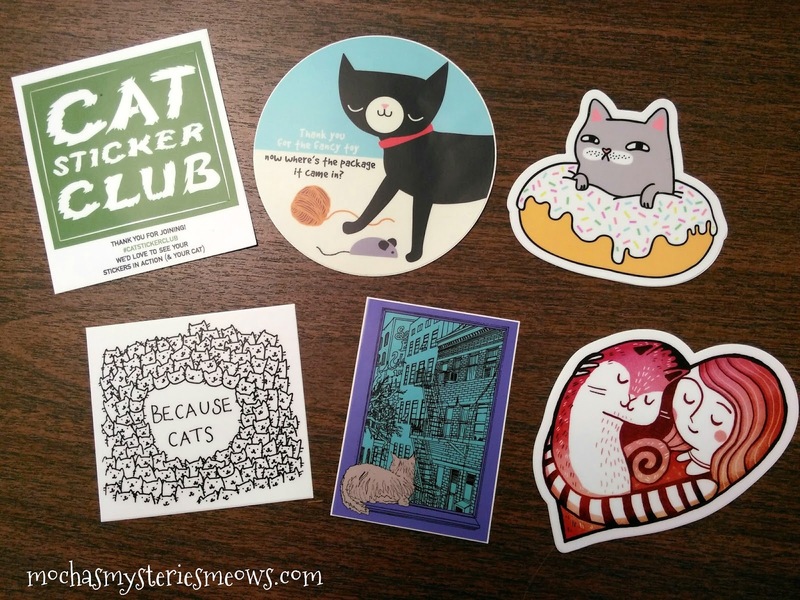 Giveaway: In honor of National Sticker Day one lucky reader is going to win a one year subscription to the Cat Sticker Club! This contest is open worldwide so simply fill out the Rafflecopter below and good luck! 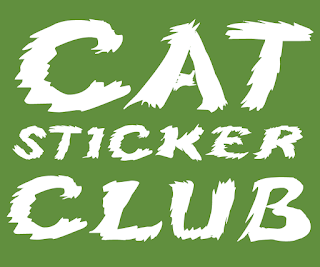 Disclaimer: We're proud to be honorary members of the Cat Sticker Club. All opinions are our own and we never recommend a product we don’t fully believe in. This sounds like an awesome company! Stickers! The only thing better than stickers are, well, kitty stickers! When I was a kid I used to put stickers all over my school binders, pencil cases, calculators, you name it. Now I have actually become more sentimental about them and tend to put them on careful display, such as on the refrigerator, on bookshelves, and pretty much anywhere I can set them up for show. Oh, and Mudpie, we would totally vote for you as President! 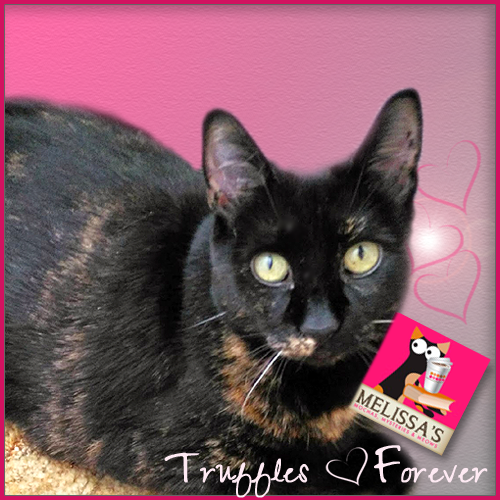 Purrs to you, Mudpie and Melissa! Wow that sounds super duper cool Mudpie. What a great giveaway. You know me and stickers...! I would decorate my water bottle, letters, make a collage and frame them. I'd put them on my notebooks. What a fun giveaway! This seems like a great way to decorate notebooks and planners. Those stickers are so cute!!! 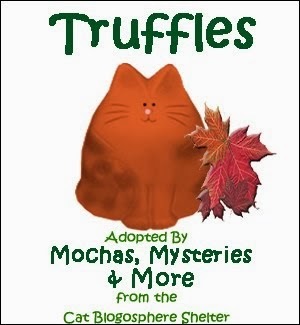 Love that the company gives back to shelters too. We'll be entering your giveaway! Oh, and if we win, we will use the stickers to decorate the laptop, planner, and the mom's drum cases! Love this. I could think of lots of places to put them. Very cute stickers, I had no idea they have their own special day. 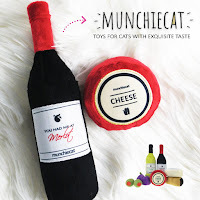 I would share them with all my cat loving friends! what a great company and wonderful stickers! These are great motivators for my wife's students. I love cats, and cat stickers are the best! If I win, I plan on putting the stickers on everything! Thank you for this chance! Cool stickers. Do you know TW bought a package of Hello Kitty stickers to put on the Christmas card envelopes and she just found them while they were taking the tree down. No more stickers for her. Ooooo stickers!!! I'll put a few on my laptop and maybe a couple on my backpack. They look so cute. This is so cute! I love stickers! Thanks for the chance. EVERYWHERE! Laptop is always a good spot. Also, on note cards and such. I would stick them on notes and all over the house. I would give the stickers to my son who has 2 super cute cats!